Congress is currently working on the federal budget which includes funding for programs that support families in need. The Foodbank is opposed to any changes to federal nutrition programs that would prove harmful to the people we serve. The House Budget Resolution has already passed and would require $10 billion in cuts directed at the Agriculture Committee, as well as an additional $150 billion in suggested cuts from downsizing and restructuring the Supplemental Nutrition Assistance Program (SNAP). The Senate is planning to vote on a Budget Resolution this week that will significantly decrease federal resources over the long term and jeopardize federal nutrition programs, including SNAP, and others that help some of the most vulnerable in our society. This will make it harder for families in our area to make ends meet. SNAP lets all families participate in their local economies and makes our communities stronger. We urge you to reach out to your representatives to oppose any final budget or spending plan that makes cuts to vital nutrition assistance programs. We strongly urge [Senator LASTNAME] to oppose the Senate budget resolution when it comes to a floor vote. The resolution passed by the Senate Budget Committee would significantly decrease federal resources over the long-term and jeopardize federal nutrition programs and others critical to our network and your constituents we serve. We urge you to oppose any final budget or spending plan that threatens vital nutrition assistance programs now or in the future. We are disappointed in the result of the FY18 budget resolution in the House. The budget will force cuts to programs like SNAP that help some of the most vulnerable in our society and will make it harder for families in our area to make ends meet. 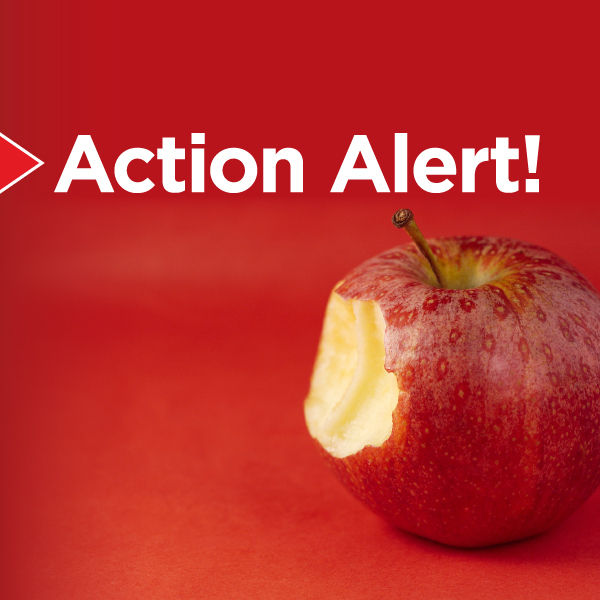 As the process moves forward in negotiations with the Senate, we urge you to oppose any final budget or spending plan that makes cuts to vital nutrition assistance programs. We stand ready to work with you to find ways to improve programs to help end hunger in our communities. We encourage you to call, write, and/or tweet your representatives! If using Twitter, you can create a digital plate to tweet and share why this issue is important to you. Tag the Foodbank in your tweet (@acrfoodbank). Are you a network partner of the Foodbank? Let the Foodbank know that you made your voice heard by emailing us at advocacy@acrfb.org.